beach body 365 free week schedule page - MRFITNESS4U2...THE"BODY TRANSFORMATION SPECIALIST"
I LOOK FORWARD TO WORKING WITH YOU DURING YOUR FREE WEEK OF TRAINING. WE ARE GOING TO HAVE SOOOO MUCH FUN! 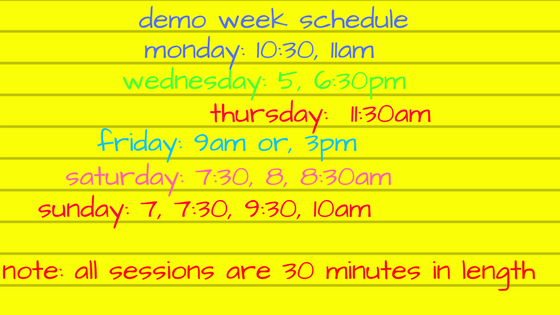 YOU'LL GET TO COME TO AS MANY CLASSES AS YOU WANT DURING THIS WEEK (FREE WEEK RUNS FROM 6/3-6/10. TO THE LEFT WHERE IT SAYS "CHOOSE A SERVICE TO SCHEDULE" CHOOSE THE SECOND OPTION FOR THE FREE WEEK). AFTER THE FREE WEEK I LOOK FORWARD TO YOU CONTINUING WITH US AND GETTING GREAT RESULTS! REMEMBER, EACH CLASS IS LIMITED TO 8 PARTICIPANTS SO HURRY UP AND BOOK YOUR FREE WEEK NOW!